Call Us Today For Your FREE Consultation – (661) 903-8599! If you have been arrested or charged with a crime in Lancaster, California, you could be facing serious criminal repercussions. Any type of criminal conviction could carry life-changing consequences, and without appropriate legal representation, your rights, best interests, and freedoms could be at risk. When the stakes are high, choose a defense firm that goes the distance for you! Call the Law Offices of Tyson R. Beers to learn how we can protect your future. As an experienced and skilled Lancaster criminal defense lawyer, Attorney Tyson R. Beers has protected the interests of countless clients in the Antelope Valley area for nearly 20 years. Our firm has become known as a reputable and reliable source of legal representation for all types of criminal defense matters. We strongly believe in staying at your side from start to finish. With the Law Office of Tyson R. Beers, you can have peace of mind in knowing that you will never be alone in your fight for your rights. No matter the criminal charges you face, we are ready to put our skills and resources to work in order to secure the best possible outcome for you. 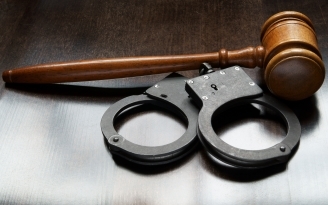 Learn how our Antelope Valley criminal defense attorney can help! Call (661) 903-8599 for your free and no-risk case consultation. When results matter, you want to make sure you are being represented by a qualified legal professional. Attorney Beers is not only backed by years of experience and a proven record of results, but also has countless glowing reviews from former clients. 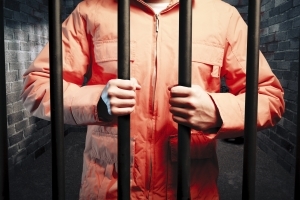 From misdemeanors to felonies, we can provide you with the defense that you need. No case is too complex for our firm to handle. We are ready to take aggressive legal action to fully protect your rights and freedoms. Facing criminal charges in the Antelope Valley? Call our criminal defense firm for FREE at (661) 903-8599! You are not alone. With Tyson on your side, your future is in good hands. No matter how serious the charges you face, never underestimate the power of a good criminal defense lawyer. Do not hesitate to call our Lancaster criminal defense law firm now! Call the Law Offices of Tyson R. Beers today at (661) 903-8599. If you prefer, schedule a case evaluation to start the process of getting your life back on track.